The author of Woman at 1,000 Degrees takes a look at the country's deep literary history. To wrap up Writers & Company's special series Darkness and Light: The Nordic Imagination, Eleanor Wachtel travelled to Reykjavik to talk to writer and visual artist Hallgrimur Helgason about all things Icelandic. Helgason's work is witty, profound and deeply engaged with the history and culture of his small island nation. His prize-winning latest book, Woman at 1,000 Degrees, is an international bestseller. The novel is based on the extraordinary real-life story of an 80-year-old woman — the granddaughter of Iceland's first president — whom Helgason encountered by chance on the phone. One reviewer described it as "darkly funny," saying, "there's nothing else like it in the English language." Helgason's artwork has been exhibited in Paris and New York, where he lived for a number of years before returning to Reykjavik to focus on writing. Like his novels and essays, his paintings are often mischievous, combining affectionate criticism with pride in his country, whose people and landscapes continue to inspire his work. 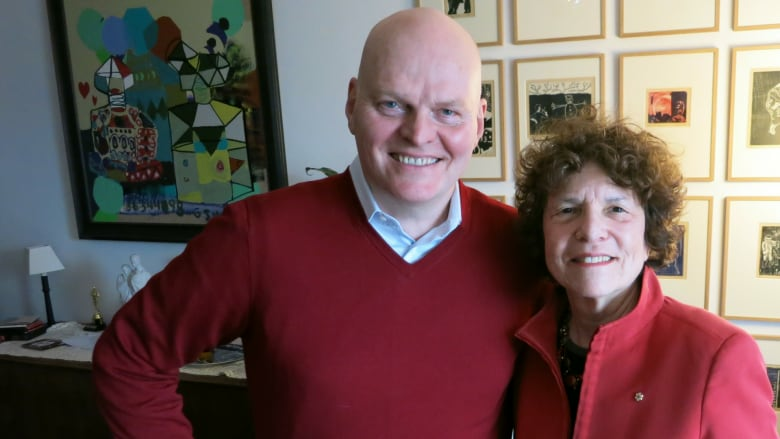 Hallgrimur Helgason talked to Eleanor Wachtel at his home in Reykjavik. "In Iceland, we believe in literature — that's our first religion. The sagas are our mythology and, for us, the characters are bigger than the characters in the Bible. They are a living part of the culture and people refer to them and use their sayings in everyday speech. I try to read one saga each year just to keep myself in touch with the past. The old-fashioned language gives you a lot of possibilities as a writer to bend and find new meanings for old words that have to be used today to fit a different society. It's a gap that we, the writers, have to bridge. "These sagas are about everyday people who have everyday problems. It's surprisingly human to know about people who were living 1,000 years ago and had exactly the same problems — they had their pride, they had their thirst for revenge, they fell in love and they married for other reasons. They wanted to tell a story about new people in a new land." "We did not have Icelandic novels for 800 years, until Halldór Laxness came along in the 20th century. He decided early on he would get the Nobel Prize. Laxness wrote about everyday people and rural life in a realistic but romantic way. We were silent for such a long time, until we finally found our voice again and started writing in the manner of the sagas. "When I was growing up, we were always trying to make ourselves heard on a global scale. We would look at a world map and sometimes Iceland was not on there — in a way, we felt like we were invisible. But in the past 20 years, we have seen a generation of writers get their books translated abroad. Iceland is a creative country — it creates a new mountain every 10 years through new eruptions and we have to find a name for that new mountain or island. Iceland keeps us on our toes. It keeps our creativity alive." "Icelanders cannot stand too much beauty. There is a self-destructive element in us. Maybe it's because we're living on a treeless rock in the middle of the Atlantic where the wind is blowing all the time. The lava fields, the sandy beaches and the glaciers — they are not beautiful all the time the way a fjord in Norway is always beautiful. Even the ocean is like a grim creature you're afraid of. A lot of the time, we stay inside our houses and we like to look out the window — we call it 'window weather.' That's why you see a lot of ugly houses with big windows in Iceland. "The narrator of Woman at 1,000 Degrees, Herra Björnsson, experienced a society that had existed on her remote island for 1,000 years but is now extinct. It disappeared after the Second World War, when electricity and the telephone arrived and people could move away to the mainland. But it stayed with her. Maybe it's because those roots were so long and thoroughly in the ground that it helped her in all her difficulties. 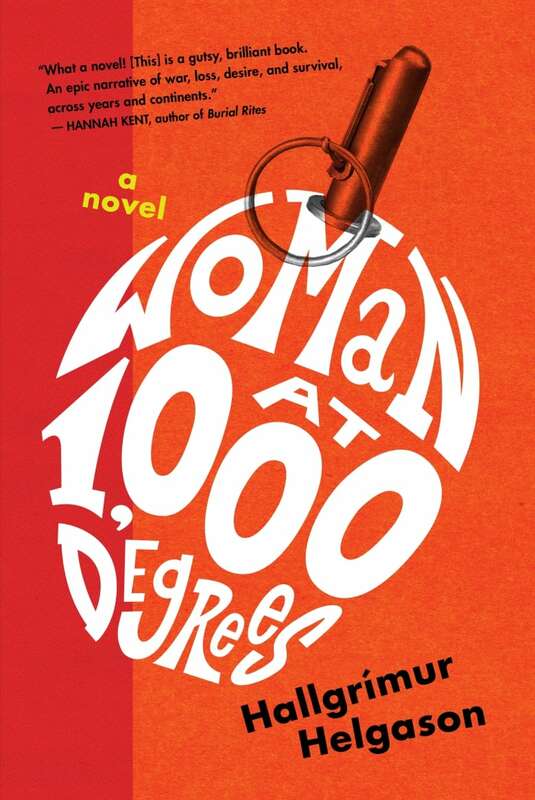 The title Woman at 1,000 Degrees is symbolic because it speaks about her life. This is a woman who has been through fire and hell when she was in Germany during the Second World War and had really bad experiences at the end of the war. She's been through hell, but she survived. Icelanders are very adaptable, tough and spontaneous. We're living with nature that is both beautiful and dangerous and that has shaped us." Hallgrimur Helgason's comments have been edited and condensed. Music to close the broadcast program: Come to Me composed by Björk, performed by Björk with the Brodsky Quartet.